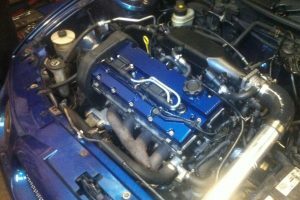 AMWmotorsport have carried out a variety of engine conversions, including our infamous MG ZR T16 conversion, using the 2litre Tseries engine. We’ve also transplanted these into other vehicles, including MG ZS’s and Montego’s. 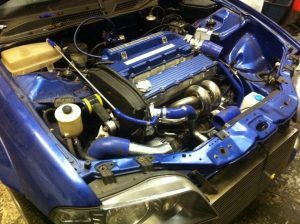 Honda Vtec conversion, B-series B16 turbo into an MG ZR. (also possible on other vehicles). 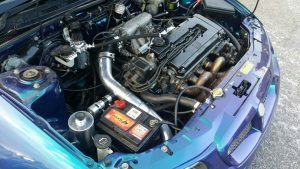 MG ZR K series 1.8 turbo conversion. (also possible on a variety of other cars, such as metro, 100, 200, 25, 45, MGF, MG TF, Lotus Elise, ZS etc). 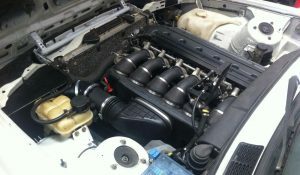 E30 BMW 318 Convertible converted to E36 M3 S50B32 engine and running gear. 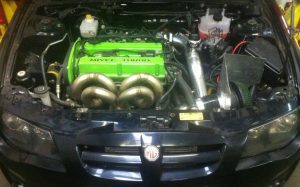 MG ZR Converted to Mitsubish EVO 9 iX 4G63 Mivec engine and 4WD running gear.